Arsenal FC (England) To Participate In The Super Group! | Dallas Cup, Inc.
Arsenal FC (England) To Participate In The Super Group! Liam Brady, Arsenal’s Academy Director said of the tournament – “The Dallas Cup gives our boys great competition against clubs from all over the world by which we can measure ourselves, and of course it is an opportunity to come to the United States and sample the culture which in itself is an education for the young players. Traveling and representing the Club is an important part of a player’s development, and appearing at a prestigious tournament like this will be a great test for our young players. We’re very thankful for the invitation to participate and look forward to the challenge next April. We know Arsenal has a huge following in the United States and we hope many fans will come to see our young talent”. Dallas Cup partner, Nike has been influential in bringing Arsenal to the tournament. ‘‘Nike is a proud partner of Arsenal FC and the Dallas Cup and we are excited about watching one of the greatest clubs in the world play in one of the best youth tournaments in the world’’, said Nike Soccer Sports Marketing Director, Joe Elsmore. The Dallas Cup website (www.dallascup.com) will have the latest information on the Super Group as it develops. Check the site frequently for the latest news. Click Here to go to the Arsenal FC Website for information on the squad coming to the Dallas Cup. 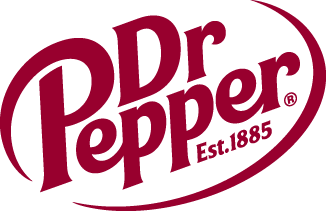 If interested in sponsorship opportunities with “Dr Pepper Dallas Cup XXXII” or the “Dallas Is Diversity Program” please contact Executive Director Gordon Jago at the Dallas Cup office via phone at 214.221.3636 or via email (gordon@dallascup.com).